I remember my mother running behind me with a glass of milk with a few soaked almonds (which I completely hated, by the way) just before school, claiming it would make me a genius. Now, when I look back, I wished I had paid heed. Wonder why? Well, they are a powerhouse of nutrients. But did you know that almond oil too has its share of benefits? From aiding weight loss and digestion to making your skin acne-free, almond oil can prove to be a boon for your health. Learn about the benefits, and you will vouch for it yourself. 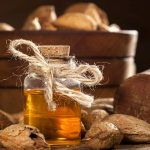 What are the different types of almond oil? Technically, there are two kinds of almond oils — bitter and sweet. The bitter oil is extracted after pressing bitter almonds. They contain amygdalin that turns into toxic hydrocyanic acid after processing (1). Despite its medicinal properties, bitter almond oil cannot be ingested. This oil can be used for topical application only. Whereas, sweet almond oil is made from edible almonds. This oil is used extensively for skin and hair and for culinary purposes too. Now that you have a fairly good idea about almonds, why not learn about their uses? So, how does almond oil help keep your skin and hair healthy? Read on. In an age where appearance is everything, who wants to look like a zombie? Blame it on the harsh sun, dirt, and pollution our skin loses its charm and glow. Covering yourself from head to toe is neither an option nor feasible all the time. 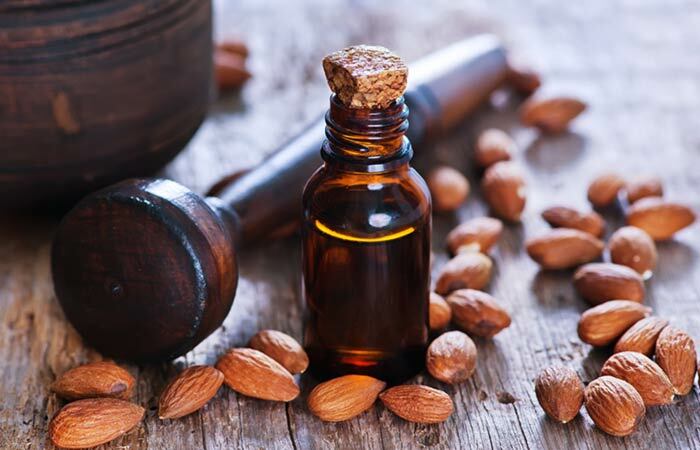 But hey, don’t lose heart for here’s a natural solution in the form of almond oil — one of the many miracle oils that truly help in enhancing the complexion and tackling skin problems. Here’s how it works. Enriched with vitamins E, A, and B, this miraculous oil seals the moisture in the skin and also improves absorption, thus ensuring the pores aren’t blocked (2), (3). A sure shot remedy to get rid of dark circles is to massage almond eyes under your eyes before you hit the sack. The vitamin E in the almond oil will rejuvenate the skin, and with regular use, lighten the skin under your eyes (4). Regular use of almond oil will also reduce wrinkles and crow’s feet around the eyes. Sagging skin. Baggy eyes. Dullness. These words are an absolute horror for us girls. Remember the spooky story of a queen bathing in the blood of young women to lock her youth forever? No, I’m not asking you to take such drastic measures. You don’t need to, especially when you have the elixir of youth handy. Trust me, regular application of almond oil on your skin makes your skin feel younger and fresher within no time. The vitamin E and fatty acids present in this oil reverse and prevent signs of aging. It not only helps skin renewal but also fights wrinkles (5). The skin tends to look dull due to the accumulation of dead skin cells caused by external factors like pollution, dirt, sweat, etc. The moisturizing property of almond oil loosens the impurities and the dead skin, making it extremely easy to remove them. Here’s how to achieve that. Mix the ingredients and apply the paste on your face. Keep it on for at least 30 minutes before washing it off with water. Note: Alternatively, you can make a scrub by mixing a tablespoon of almond oil and a teaspoon of sugar. Massage this scrub on the face in small circular motions to get rid of dead skin cells and blackheads. Almond oil is a time-tested remedy for all kinds of skin problems like acne, psoriasis, and eczema. It soothes irritation and relaxes the skin. We have already established that almond oil is an emollient. Its moisturizing property helps cure skin diseases like eczema and psoriasis (6). We are forced to hide behind layers of apparels, covered from top to bottom, to protect ourselves from the sun. The blazing rays of the sun can cause sunburn and tan lines, which can adversely affect your skin. But did you know that almond oil acts as a natural sunscreen. It has an SPF 5, and it not only prevents tan and sunburn, but also reverses the effects of the sun (7). The vitamin E in almond oil nourishes and shields the skin from harmful rays of the sun. Almond oil is a light oil, and therefore, is less greasy compared to other oils. It is an inexpensive substitute for hand and foot creams. It smoothens the skin and makes it baby soft and also gets easily absorbed in the skin owing to its lightness. Almond oil smells so good, and its zinc content soothes rough skin and heals cracked heels (8). Did you know you can use almond oil to easily remove makeup? Almond oil effectively opens up the pores and ensures that all traces of makeup are gone (9). Moreover, it averts the occurrence of acne and can be used for all skin types. Soft, pink lips can be yours too, courtesy almond oil. Almond oil’s rich vitamin content and moisturizing properties can make your lips soft and pink (10). Every time your lips feel rough and chapped, you can just dab on on a little almond oil, and you will be good to go. I hate oiling my hair because of its greasy and sticky nature. I do support regular oiling sessions, though. Thankfully, I was introduced to almond oil a few years back. It has all the qualities that make it a perfect hair oil, with the added benefit of being super light and aromatic. It also adds an intense luster to your hair, making it look healthy. Here’s a peek into the benefits of almond oil for hair. A rich source of magnesium, almond oil prevents hair fall to a great extent (11), (12). No wonder it is used in a wide range of hair care products! Unhealthy hair is never a good sign. But the dirt and pollution, along with our busy schedules, make it worse. Regular massage of hair with this oil can prevent split ends too. Mix almond, castor, and olive oils in equal proportions and massage your hair with this mixture. Apply it once or twice a week, and feel the difference. We all know that all these three oils incredibly benefit the hair as they are loaded with essential nutrients that promote hair growth and strengthen hair. Almond oil specifically has antioxidants, vitamins, and essential minerals that restore and rejuvenate the hair follicles. Every time you wash your hair, you could gently massage in a few drops of this miracle oil. It will condition your hair and keep it soft, hydrated, and shiny. 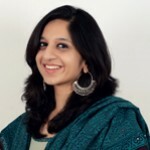 Almond oil’s light texture makes it a great substitute for shine enhancers or leave-in conditioners (13). It also has amazing moisturizing properties due to the presence of essential fatty acids and vitamin E.
Almond oil effectively cures dandruff by removing dead cells. It also nourishes the hair and keeps hair troubles at bay. We have already established the fact that almond oil is a great emollient that cleanses the skin and removes dead cells. This quality also helps almond oil fight dandruff and keep the scalp clean (14). Its high content of fatty acids moisturizes and softens the scalp tissues and also improves blood circulation. This also soothes inflammation (15). If you thought the benefits of almond oil are confined to just hair and skin, you are mistaken. It can be used in cooking too. Curious much? Read on. We all know the health benefits of eating almonds. However, the benefits are not limited just to the nuts. Almond oil too can provide a multitude of benefits when included in our diet. Although it is a tad expensive, foodgrade almond oil is slowly taking over the culinary world. Trust me, it is totally worth every buck. Here’s why. Almond oil is loaded with monounsaturated fatty acids. These fats boost heart health and prevent cardiovascular diseases (16). Sweet almond oil is rich in folic acids, unsaturated fats, protein, and potassium – all these have been proven to be beneficial to cardiac health. Almond oil helps keep Type 2 Diabetes at bay, restores liver health and maintains a healthy heart (17). It also regulates blood pressure and maintains the cholesterol levels. Impressive, isn’t it? Almond oil is high in potassium and low in sodium, which can help prevent cardiac problems (18). Almond oil can also loosen stools, ensuring better cleansing of the system (19). Now you know why it is used as a salad dressing! They say if you eat five almonds a day, your memory improves. Almond oil is even better! Add a few drops of the oil to a glass of milk and drink this every night before you go to sleep (20). Perhaps you will not forget your keys the next time you step out of the house! Almond oil is a great source of vitamin D that is required for the absorption of calcium in the body (21). And obviously, calcium is extremely vital for a newborn, as its bones need to develop and strengthen. Almond oil has analgesic properties that help in easing the pain and stress from strained muscles (22). A few tablespoons of heated almond oil, when massaged into the affected area, almost instantly relieves joint or muscular pains. Long nails look beautiful only if they appear healthy and not brittle. If you tend to bite the edges of your nails, it’s time to strengthen them with almond oil (23). Almond oil is high in flavor and a rich source of essential vitamins and minerals. Calcium, potassium, magnesium, vitamins E and D are found in great quantities in sweet almond oil, making it integral to healthy living (24). We always have this misconception that fats are harmful. However, not all fats are bad. Some of them are essential for our well-being (of course, only in the desired quantity – excess can lead to obesity). And since our body is incapable of producing these essential fatty acids, we often depend on outside sources. This is where almond oil can help. The linoleic and linolenic acids present in almond oil can help reduce inflammation (25). They also reduce the levels of LDL-cholesterol in our system. Are you feeling drained of energy? Just drizzle some almond oil over your salad for instant energy. Almond oil is a great energy booster due to the presence of manganese, riboflavin, and copper, which help in generating energy in the body (26). 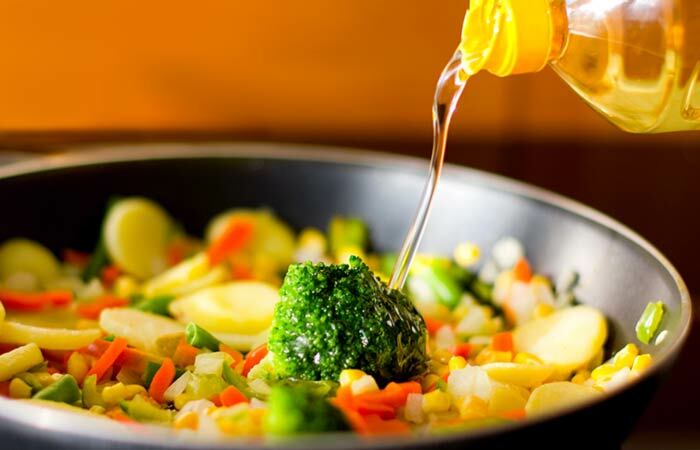 Adding almond oil to your food can prevent colon cancer. Almond oil is full of fiber, which helps in proper movement of food in the colon (27). Many gynecologists recommend regular consumption of almond oil to expecting mothers. Almond oil is rich in folic acid, which reduces the chances of birth defects in newborns. It also ensures that your baby goes through healthy cell growth and tissue formation process. Almond oil also ensures your newborn won’t suffer from neural tube defect (28). Almond is rich in monounsaturated fats that speed up metabolism, eventually leading to weight loss (29). For best results, add a few drops of this oil to warm water and drink it twice a day. The drink cleanses your stomach, ensuring you have no troubles related to the digestive system (30). We all have that little natural beauty secret that has been passed from our moms and grandmoms. One such popular beauty secret is almond oil. 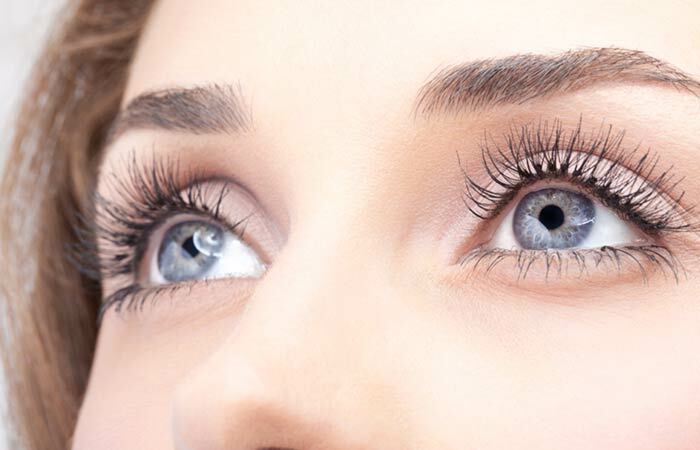 If you always dreamt of having long, flirty eyelashes, ake sure you apply almond oil on your lids (31). Almond oil strengthens the hair follicles and imparts a beautiful shine to your hair. Our lashes are not very different from the hair on our scalp. Therefore, the same nutrients that benefit the hair on our head can do wonders to the lashes too. The magnesium, vitamin E, and fatty acids present in almond oil make it a great salve for the lashes as well. You can simply use an old mascara wand for application. Dip it in almond oil and apply the oil on the eyelashes, just the way you would apply mascara. Do this just before you go to bed or in your free time. Watch your lashes getting thicker and prettier with time. 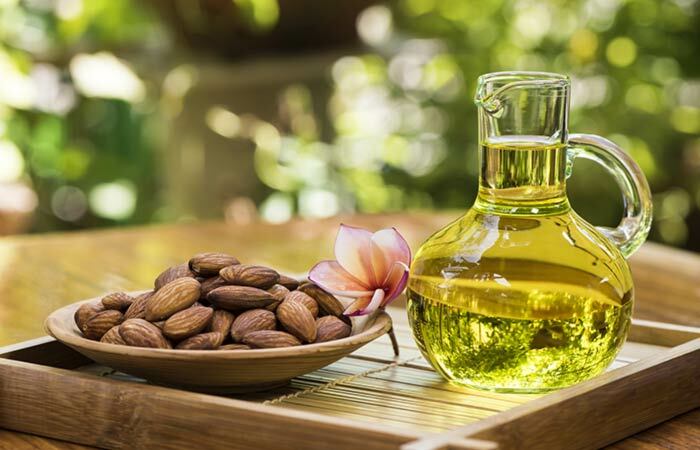 Of much value in spas and salons, almond oil is ideal for spa skin treatments and massage therapy with amazing results (32). Ideal for integrating with other essential oils, sweet almond oil is regularly used to manufacture soaps, body and face washes, face packs and massage oils. 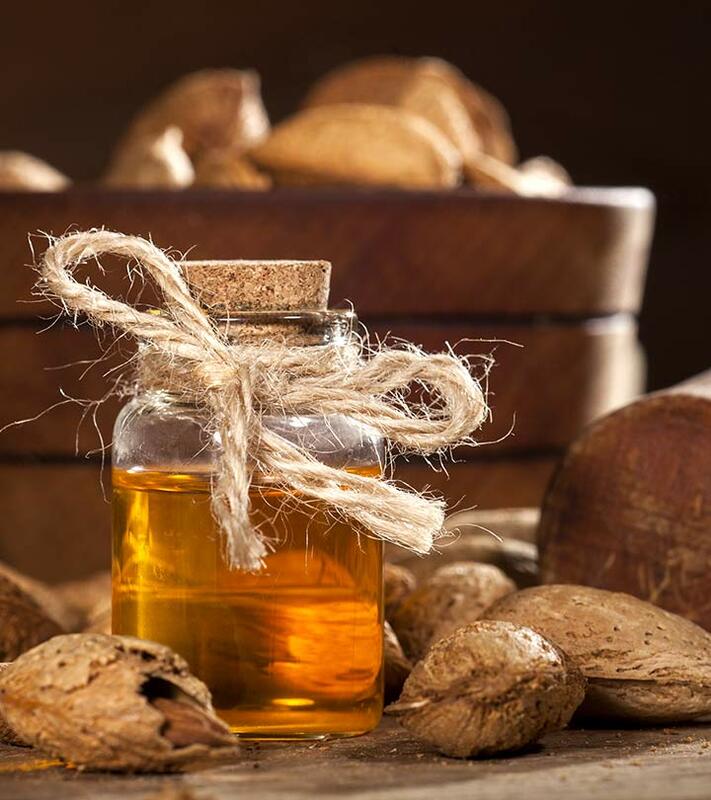 Sweet almond oil has amazing emollient qualities that have a strengthening and nourishing effect on the skin. Massaging with almond oil promotes blood circulation, which effectively prevents stretch marks (33). While we can easily find sweet almond oil manufactured by several brands, a few of us would rather make our own oil than trusting what’s available in the stores . 1. Take the dried almonds and crush them using a blender. You need to keep on changing the speed of the blender from low to high. Stop the blender every 5 minutes to prevent them from sticking to each other. 2. Grind until they are reduced to a smooth paste. Add olive oil and turn the grinder on again for the last time. 3. Transfer the paste into a glass jar and let it rest for 2-3 weeks at room temperature. 4. After some time, you will be able to separate oil from the residue. 5. Strain and store in a glass bottle for future use. Just like many other ingredients, using almond oil under certain conditions can be quite risky to your health. We have compiled the most important ones. Keep them in mind before application. Any consumption of oil is good only when its intake is limited. Don’t go overboard with almond oil. Consult a nutritionist or a physician before you consume the oil. It is imperative that you be aware of which almond oil you consume. Make sure you pick sweet almond oil only. The bitter one is toxic. Avoid taking almond oil if you are on a magnesium-rich diet. Using almond oil in excess can lead to Vitamin E overdose, which further leads to diarrhea, blurred vision, dizziness, and weakness. As almond oil carries fat, its overconsumption can even make you gain weight. Many people are allergic to almonds, so check before you start using almond oil. Takeaway: Use almond oil for healthy skin sans wrinkles, blemishes, and dark circles. This amazing oil can make your hair healthy and shiny. Almond oil has also proved to be effective in curing cardiovascular diseases, inflammation, colon cancer, cholesterol, obesity, constipation, and joint pain. Wow! That’s a whole lot of natural goodness in one tiny bottle of oil. So don’t forget to add almond oil to your shopping list the next time you head out to the supermarket. Do you know any other benefit of this oil? Do share with us in the box below.